The last post had me thinking about our Elmo party and I just wanted to revisit what a worthwhile adventure renting a costume was. I had found this place online (I wish I remembered which one exactly) for $150, they rented you a “Little Red Monster” costume, a music cd and a small gift for the Birthday child (it was a plastic Elmo mug). The costume arrived in a big box the Thursday before the party. Yours truly had the honor of being an Elmo. We had made several trips to Sesame Place before this Birthday and we knew that our little one loved seeing the characters in person. She was absolutley amazed to see Elmo walk out into the backyard. I had purchased one of those oversized crayon banks to give to her from Elmo. Elmo-afficiandos out there know Elmo loves to doodle. We had so much fun with it that we even had Elmo visit again Sunday night before we had to ship him back on Monday. Now, you may think $150 is a bit steep. But, this would be a great present for family members to give or go in for. 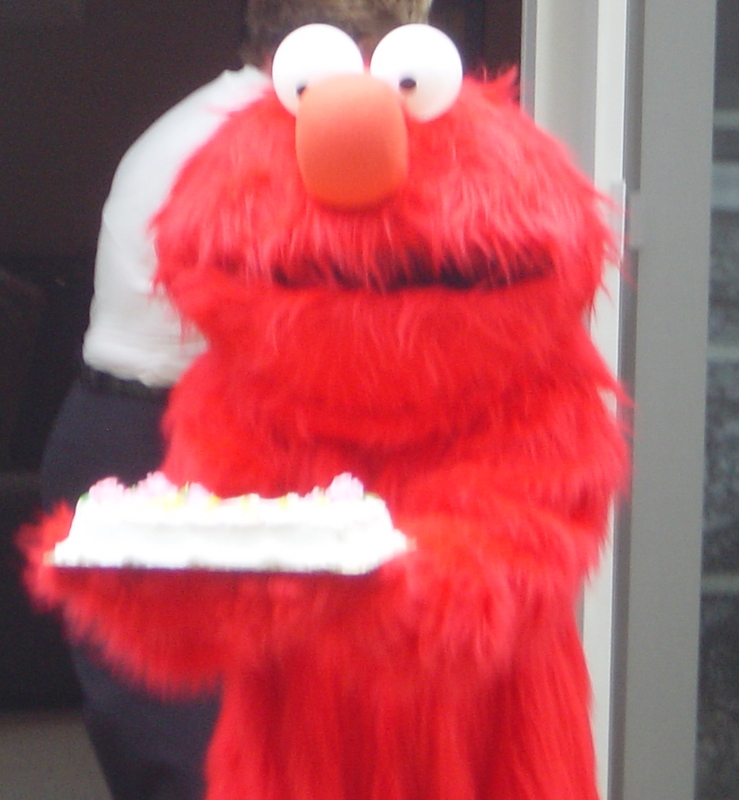 Toys come and go, but Staffer #1 is now on her way to 8 and still talks about how Elmo came to her party.